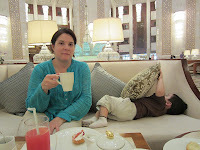 Ya, ok, so going for afternoon tea is not usually the best activity with a toddler... But I learned long ago through our travels that you can make fun pretty much anywhere as long as you are equipped with stickers and other activities (and an episode of Dora on my iPhone doesn't hurt either). 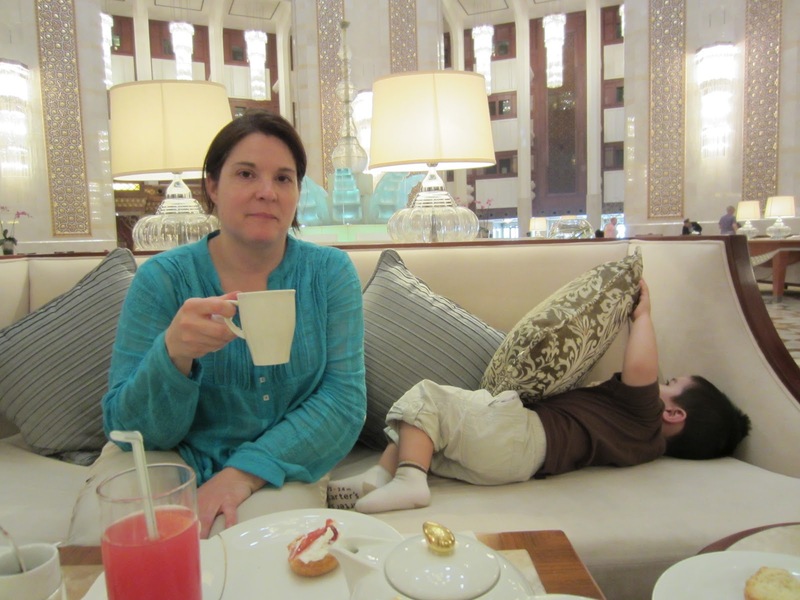 We were in Muscat, Oman, looking for a place to cool off and relax after a day of exploring this beautiful city and the Al Bustan Palace Hotel was the place to do it!